It was announced yesterday that the real living wage is to rise from £8.75 to £9 an hour – a pay rise of 2.9%. In London, due to living costs being higher, it has risen to £10.55. Employers have until May 2019 to bring in the pay rise, however Pronto will be complying immediately. What is a Living Wage Employer exactly? The UK’s Minimum Wage is £7.38, with the governments National Living wage at £7.83. 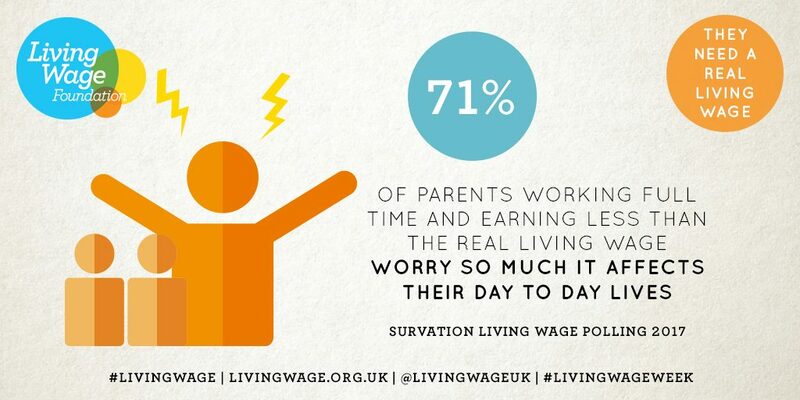 However, The Real Living Wage is calculated every year to meet the real cost of living. Voluntarily paid by over 4,400 businesses who believe their staff deserve a fair day’s pay, 93% of Living Wage businesses say they have benefited since being accredited. 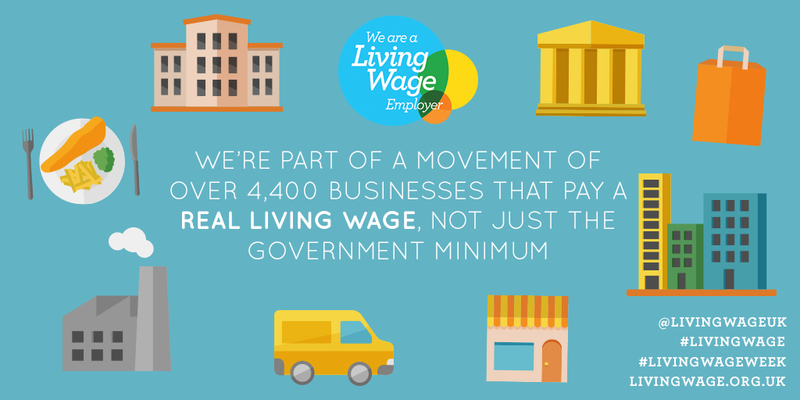 Here are 5 powerful benefits of being a Living Wage employer. 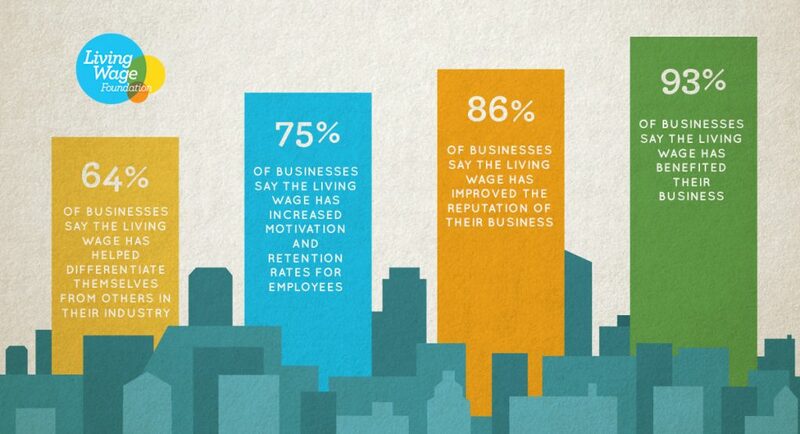 75% of companies who have chosen to pay their employees the Real Living Wage state that it has increased motivation and retention rates of employees. A prime example of this is the Brewdog Case Study. In the year after introducing the Living Wage, staff turnover on BrewDog’s retail sites fell by 40 per cent. In one store annual staff turnover fell from 240 per cent to 60 per cent. Furthermore, due to the increase in staff retention rates, recruitment costs fell significantly. In 2015 BrewDog spent £130,000 on recruitment agencies whereas in the first four months of 2016 they had only spent £10,000. There is plenty of evidence showing that when employees are happy, organisations thrive. One study found that happy employees are up to 20% more productive than unhappy employees. By paying your employees the Living Wage and ensuring they have fewer worries about money, they can fully focus on their projects. With less worries, workers will be happier which leads to higher levels or productivity and a better quality of work. Maintaining a strong employer and employee relationship is key to the success of an organisation, with strong relationships resulting in employees being more efficient, productive and loyal. Managers setting a good example of respectful and fair working behaviour towards employees is beneficial to the whole company. Therefore, it is no surprise that when companies started paying their employees the Real Living Wage, 58% said it improved their relationships between managers and staff. The reputation of your business impacts all relationships, from customers and clients, to partners and possible contract opportunities. A survey of more the 800 accredited Real Living Wage businesses found that 93% of them reported having benefited from becoming a Real Living Wage Employer, with 86% of respondents reporting that the Living Wage accreditation had enhanced the company’s reputation as an employer. In a competitive landscape it is vital to stand out from the crowd. This applies when trying to sell your products or services to clients, or when trying to recruit new staff. In manufacturing, there are plenty of other companies offering similar products, and likewise similar work. Offering the Real Living Wage is a good opportunity to hire the best staff, as well as demonstrate to customers that you care about your stakeholders. 64% of organizations supporting the Real Living Wage say that the accreditation has differentiated their organisation from others in the same industry. Prospective business partners and customers/clients will all favour an organisation that pays their employees fairly. If you want more information on the Real Living Wage, or want to join Pronto Paints in becoming a Living Wage Employer, follow this link.